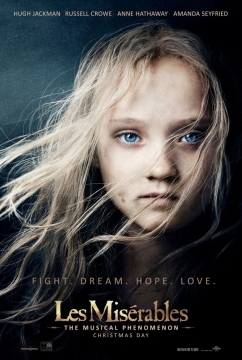 Based on the stage show of the same name, Les Misérables is easily one of the most ambitious films of 2012 that is extremely reminiscent of those epics in the Golden Age of Hollywood but is painted with a 21st century brush. Directed by Oscar winner Tom Hooper for The King's Speech, Les Misérables is not your average musical but rather a strange realistic interpretation of the original opera that only has a handful of words as the majority of the film is sung. However where Les Misérables comes into its own is how Hooper directed his colourful assemble of actors. Unlike traditional musicals, the songs of Les Misérables were actually recorded live on the sets opposed to post-production recordings. Does it work? 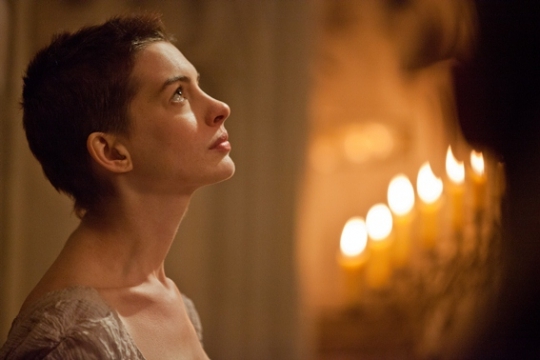 It actually works quite well, especially when Anne Hathaway as Fantine sings I Dreamed a Dream which I doubt left a dry eye in the entire cinema. As for me, I may have had something in my eye but in all seriousness, the raw emotion that Hathaway uses truly touches your soul. Thankfully not all the songs in Les Misérables tugs at your emotional heartstrings as Sacha Baron Cohen (Thénardier) and Helen Bonham Carter (Madame Thénardier), two rogue inn keepers truly steal the show with their catchy and quite boppy interpretation of Master of the House. These two actors really add a much needed stream of humour to what at times, is a very depressing tale. 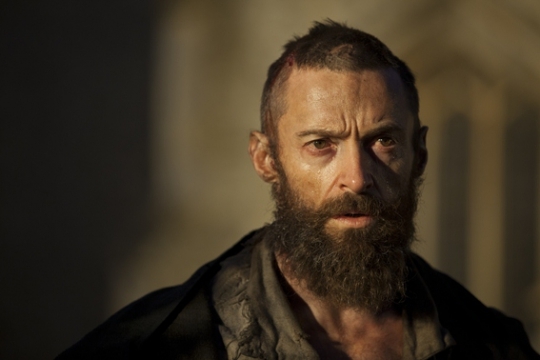 In terms of story, Les Misérables is set in 19th century France and revolves around Prisoner 24601 (aka Jean Valjean) who is masterfully played by Hugh Jackman and the plays the cursed hero perfectly. Unfortunately when Valjean is released from prison after 19 years for stealing a loaf of bred, he flees after experiencing a religious epiphany but throughout his life, he is constantly being hunted by his nemesis, Inspector Javert (Russell Crowe). 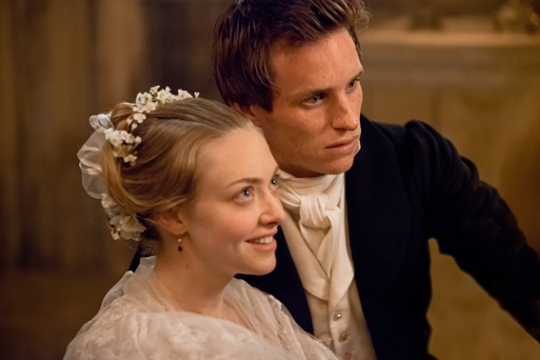 Along the way Valjean unwittingly forces one of his workers (Fantine) into prostitution that causes her downward spiral into darkness and as a result, he raises her daughter Cosette (Amanda Seyfried). In essence, Les Misérables is a story about redemption, forgiveness and love with the violent backdrop of post-revolutionary France. Apart from the beautiful melodramatic tunes that grace Les Misérables, the amazing sets of the film really immerse you into the story and ironically, all the actors should be commended on their singing, even Russell Crowe of former of 30 odd foot of grunts... it's Crowe's old band. With that said, Crowe's voice is quite grounded and moving, unlike Amanda Seyfried who would make the perfect Snow White with her high vocals. Other highlights in the film include Samantha Barks as Eponine who is quite simply brilliant and last but not least, Daniel Huttlestone as Gavroche, a young thief who has joined the revolution. The only strangeness is the film is that at times, some songs seem to finish abruptly and then one of the actors says a few words which unfortunately breaks the pacing of the songs. There's been some mixed reviews of Les Misérables but in my opinion and also my partner, if you want to see something truly different and more importantly, something very touching and memorable than this modern adaption of a classic is that film.